From its inception, the Fallout series has been entrenched in feelings of nostalgia for an era long gone, or one might argue, for an era once imagined to come. In effect, Fallout is a case of „retrofuturism,“ a cultural form that „highlights nostalgia, irony, and time-bending dislocation … engaging the relationship between the future and the past.“ Retrofuturism reveals a need for nostalgia, while also pointing toward a disappointment with the present. With the turn of the 21st century and a loss of socially stabilizing institutions all around, U.S. culture has seen a move toward moments of nostalgia for a time of simpler values and categories, that promise a certainty based in stratified notions of race, class, and gender. In this vein, Fallout’s creators envisioned its post-apocalyptic role-playing scenario not based in late 1990s anxieties and struggles with globalization, but rather chose to revisit both social strata and technological visions of the Atomic Age of the 1950s as their model of extrapolation. In a GDC talk, project lead Timothy Cain explains that one of the earliest design inspirations for the game was the film Forbidden Planet (Dir. Fred Wilcox, US 1956), such that “the robots in Fallout… that all of the technology would be based on technology that the 50s projected into the future … We did not want to see Terminator-style robots, we wanted to see Robby the Robot-style robots.“ Staging the extrapolation of science fiction from that very specific moment in U.S. history before the social upheaval of the Civil Rights era, simultaneously allows players to visit a nostalgic past of relative comfort and safety – a past that never was – and to explore the world 80 years (in Fallout) or even 200 years (in Fallout 4) into a future that never will be. The history of Fallout takes its cue from a golden age of atomic power in the late 20th century. After World War II, the USA found prosperity in nuclear technology, allowing for progress such as nuclear powered robotics, weapons, household items, and personal vehicles. The new energy source leads to prosperity of the middle-class, an atomic variant of extreme consumer capitalism, and an even stronger social stratification, cementing the hierarchies of the 1950s and its reactionary political views in place. But Fallout is not so much about praising the social conventions and technological wonders of this 1950s „optimistic brand of futurism [which] shaped space-age fantasies,“ as it is about criticizing its consequences for world history. Harvesting nuclear power for capitalist consumption leads to global conflict on an unprecedented scale. The dangers of the technology are ignored and society pays a high price for its commodification, as a global nuclear war between China and the United States in 2077 devastates the planet. This history is buried in the game’s world as a commentary on consumerism and technoculture, and the risks that are connected to unregulated progress. The game employs a vision of a past utopia and then exchanges it with a devastating vision of future dystopia. It presents an alternate timeline into this post-apocalyptic future of a wasteland America in order to stir players into contemplating the consequences of unfettered technological optimism. It is this setting within an alternate history, combined with the retrofuturist vision of nostalgia of the atomic age, that allows Fallout to position the player as (inter)acting figure directly within the discourse of individual participation in shaping the future. Reflected in the game’s openness towards player actions – allowing for multiple solutions and different approaches to quests, adapting environmental reactions to player action, and delivering challenging ethical narrative scenarios that force players to think about the consequences of their actions – the game’s setting fully involves the player in the processes that shape history. The game thus strongly reverberates with a call for change and the simulated, played-out option to make a difference in history that only a videogame can provide. Cain, Timothy. „Fallout: A Postmortem.“ Games Developer Conference 2012. Accessed January 10, 2016. https://www.youtube.com/watch?v=Xa5IzHhAdi4. Guffey, Elizabeth and Kate C. Lemay. „Retrofuturism and Steampunk.“ In The Oxford Handbook of Science Fiction, edited by Rob Latham, 434-47. Oxford: Oxford University Press, 2014. Hellekson, Karen. „Toward a Taxonomy of the Alternate History Genre.“ Extrapolation: A Journal of Science Fiction and Fantasy 41, no. 3 (2000): 248-56. Elizabeth Guffey and Kate C. Lemay, „Retrofuturism and Steampunk,“ in The Oxford Handbook of Science Fiction, edited by Rob Latham (Oxford: Oxford University Press, 2014), p. 434. Timothy Cain, „Fallout: A Postmortem,“ Games Developer Conference 2012, accessed January 10, 2016, https://www.youtube.com/watch?v=Xa5IzHhAdi4. Guffey and Lemay, „Retrofuturism and Steampunk,“ p. 435. Karen Hellekson, „Toward a Taxonomy of the Alternate History Genre,“ Extrapolation: A Journal of Science Fiction and Fantasy 41, no. 3 (2000): 248-56, here: 254-55. 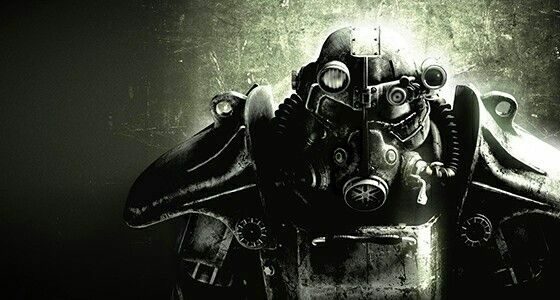 “Fallout.” 100 Greatest Video Game Franchises. Ed. Robert Mejia, Jamie Banks and Aubrie Adams. Lanham: Rowman, 2017. 59-60.